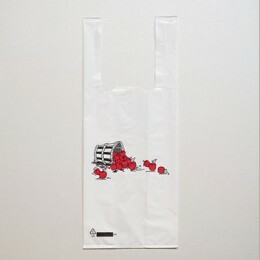 The U-Pick Apple bag is ideal for the U-Pick environment. This retail packaging solution comes in white with an apple basket image and protects your fruit with durable T-Shirt style handles. This fully recyclable plastic bag is effective in all types of weather with a 2-3 mil thickness depending on your size choice. 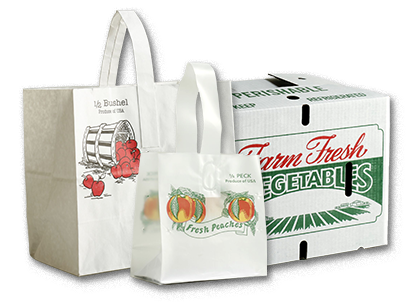 For a personalized touch, U-Pick bags are available in both custom and imprinted designs.